Valentine’s Day is a holiday celebrated around the world in February. Learn about the history of this famous day, and discover some interesting facts!. A few weeks before February 14th rolls around, what types of commercials do you see on TV more often? If you guessed ones about flowers, rings, and chocolates, you’re exactly right! These are gifts that are commonly given on the holiday that celebrates love: Valentine’s Day. However, in the beginning, this holiday did not celebrate love. It was actually a Christian feast celebration. In the 14th century, the idea of love became a part of this holiday. It’s widely thought that Valentine’s Day was declared an official holiday in England in the 1500s by King Henry VIII. Nowadays, it’s a major holiday around the world. People in the United States, Canada, Mexico, and Europe celebrate this holiday of romance and love. Billions of dollars are spent each year on chocolates, cards, and flowers. 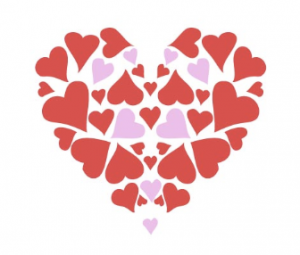 Watch the video below to learn more Valentine’s Day facts!